The site of Ranigat is situated on the top of a ridge, where the remains of the region's largest Buddhist monastic complex reside. Structures on the site include stupas, monasteries, shrines, drainage networks, and other buildings. 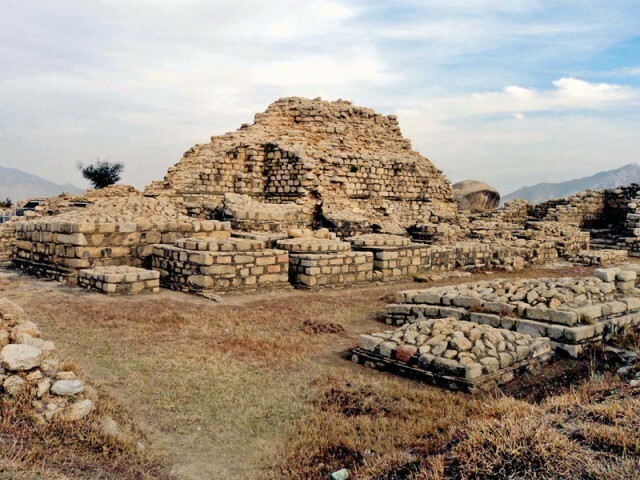 Ranigat is a 2500 year old Buddhist archaeological site belonging to the Gandhara civilization and is a good evidence of the Buddhist past of the area. The site can be reached by climbing the stairs constructed by the Japanese. The main attractions include; Stupas, monasteries, drainage systems and a big rock erected by the ancient people at some distance that they probably used to worship. The city was beautifully designed and stones from the local mountains have been extensively used. Ranigat is easily accessible through M1, (Motorway), or N35. It is about 20KM away from Swabi and 100KM from Peshawar or Islamabad. This site was added to the UNESCO World Heritage Tentative List on January 30, 2004 in the Cultural category.